Jose Mourinho’s future: What next after his Manchester United exit? Jose Mourinho is a serial trophy winner but his stock has never been lower, writes Adam Bate.. So what now for the Portuguese coach? 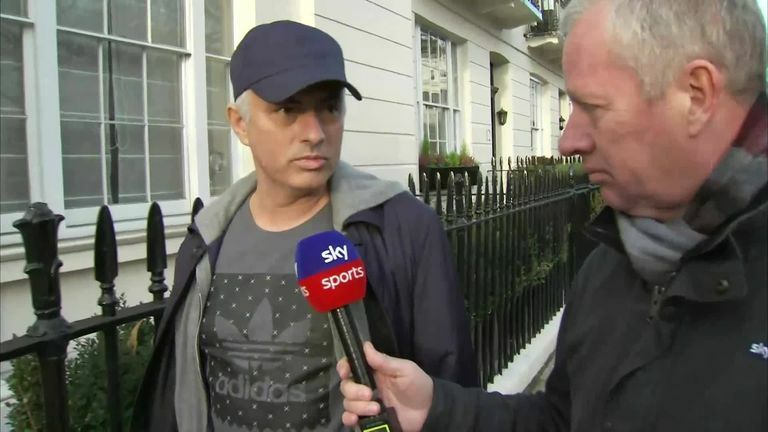 "Manchester United have a future without me," Jose Mourinho told Sky Sports. How true. Football is abuzz with talk of Ole Gunnar Solskjaer and where the club goes from here but what of the manager who has been discarded? The most successful coach of this century has now lost his last two jobs in the week before Christmas. His stock has never been lower. Sympathy is not in huge supply for a man never particularly keen to bestow that on his rivals, even if he did sport Claudio Ranieri's initials on his training top when the Italian was sacked by Leicester. Many will recall Mourinho's old line about Arsene Wenger being a "specialist in failure" and wonder how he truly assesses his own efforts at Old Trafford. A look at the challenges facing Ole Gunnar Solskjaer at Manchester United. Will a man who once proudly declared he did not want to win the Europa League when belittling Rafa Benitez's accomplishment at Chelsea really seek to define his United reign by that same trophy? Can a coach whose withering assessment of Manuel Pellegrini's time at Real Madrid was that "finishing second just makes you the best loser" continue to argue this was one of his "greatest achievements" when doing precisely that last season? Mourinho is the serial winner forced to move the goalposts when it suited him and there is now a widespread acceptance that in recent months this became an exercise in preserving his own reputation rather than taking the team forward. There was the reminder he had won three titles to everyone else's two, the three finger salute at Stamford Bridge and the calls for respect. So frequent had his outbursts become that before what turned out to be his final home game in charge against Fulham, when he described his counterpart as "one of the two most important managers in the history of the Premier League" nobody was entirely sure whether the other one was supposed to be the great Sir Alex Ferguson or himself. His final press conference ended with him enthusing about the opposition players rather than his own and rather tellingly discussing his great teams of the past. Mourinho remembered the direct counter-attacking threat of his Real Madrid and the defensive resolve of his Inter. "You can be there for five hours and you don't concede a goal," he said. Of the Porto side that won the Champions League back in 2004, he said: "It was my best team in defensive transition. We lose the ball and we bite like mad dogs and recover the ball after a few seconds." The reference to "mad dogs" was a pointed one given this was the very term he had used to describe the qualities that United lacked just weeks earlier. Which United stars could benefit? The Jose Mourinho era is over at Manchester United, so which players could benefit from his departure? But in harking back to a club he left more than 14 years ago, it only added to the sense that this is a man whose greatest hits are now long ago. That Champions League win was closer in time to Howard Wilkinson's Leeds United winning the English title than the present day. Nobody is calling for Wilkinson to succeed Gareth Southgate's instead of Eddie Howe. Mourinho's defenders will resist the notion that the game has moved on. They will insist that the Premier League title win with Chelsea as recently as 2015, his only league success in the past seven seasons, is proof his methods can still succeed. But potential employers will look to the subsequent disintegration there and wonder if that is just as significant. So what are the options now? Having burnt his bridges at the Bridge, one of the clubs at which he was once a hero can already be ruled out. Inter and Porto remain. Madrid's aching for glory could yet force their hand one day and others will feel the same way. There will be an opportunity somewhere, as Gary Neville was quick to point out this week. "Jose Mourinho is a great manager," Neville told Sky Sports. "He has won wherever he has been. He will get a great job." Paris Saint-Germain and Bayern Munich would be the best bets if he wants to make history and become the first coach to win the title in each of Europe's five major leagues but it is no longer so inevitable that they would want him. "I'm in a situation where I can choose," Mourinho once said when seeking to disparage Pellegrini for ending up at Malaga after losing his job in Madrid. "Some people can't choose." But perhaps it would not be the worst thing for him if the next opportunity came at a slightly less regal establishment than the ones he has made his home of late. 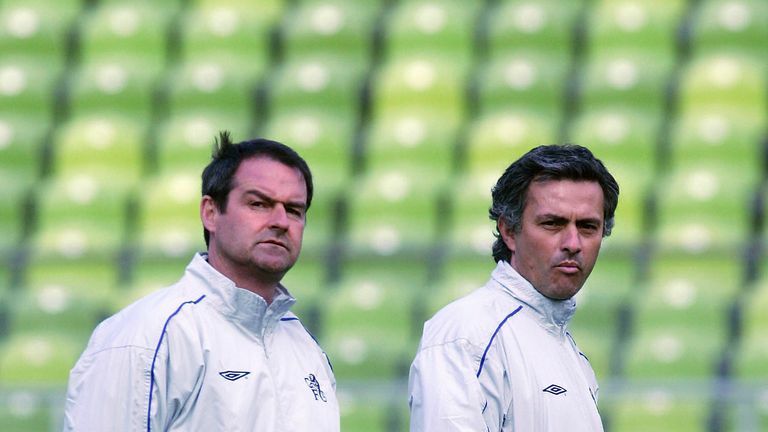 For someone who enjoyed such success, and managed arguably the world's two biggest clubs, there is a certain irony to the fact Mourinho has always been at his very best when able to foster that underdog spirit. Some of his most memorable moments in football have come in such circumstances. Think of the knee slide at Old Trafford when Porto caused such a shock there. The finger pointing skywards at the Camp Nou when Inter stunned Barcelona in 2010. Even his refusal to play the clowns when denying Liverpool the title with a weakened Chelsea team in 2014. Whether it was upsetting the odds with Porto or the natural order of things first time around with Chelsea, Mourinho feels best suited to defiantly raging against the machine. He was able to pull that trick off for a while in Madrid too because of Barca's pre-eminence but it was always more difficult to get the then nine-time European champions to embrace that role as readily as he did. Similarly, United were uneasily cast as the little horse too. A club with a point to prove, one eager to bloody noses and put them out of joint, might be a better bet for a natural antagonist happiest when taking on what he calls the game's poets. It will be tougher to win but less controversial to play a more cautious brand of football and it might be the new reality if he is willing to embrace it. "I have a future without Manchester United," he pointed out this week. He is right. The demise has been compelling, but Mourinho's revenge would be must-watch viewing too.